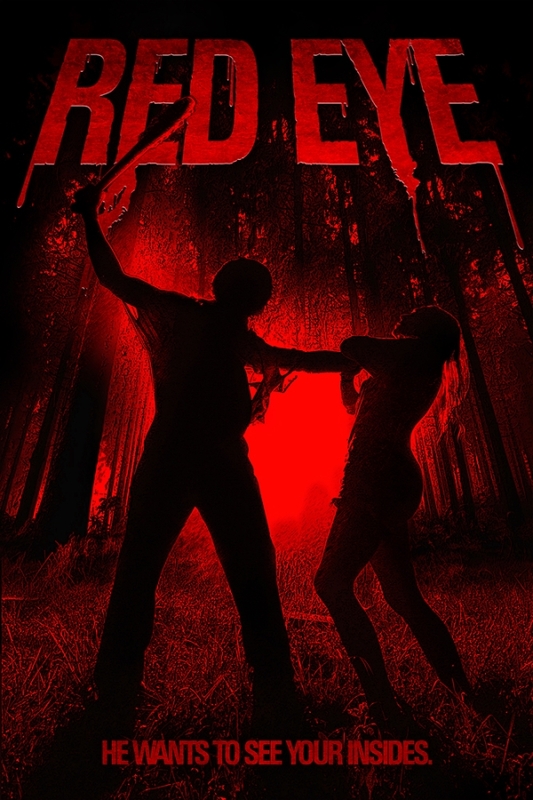 Horror-obsessed wannabe filmmaker Scott King sets out to document the Black Creek, West Virginia legend of “Red Eye”, a family man who ate his loved ones to survive during the Great Depression, the escalating lust for blood turning his eye…red. He and his four pals interview unconvincing locals who have tales to tell of Red Eye, before the inevitable massacre. Hayden Wilberger makes a strong bid for the title of Most Obnoxious Horror Movie Character of the Century (“I have enough wood for the both of us”), though, in fairness to him, his co-stars are the kind of people you would gladly nudge into a woodchipper given half a chance. Running a mere 67 minutes without credits, this grating, lifeless dead-bastards-in-the-woods farrago drowns its set pieces with a misplaced rock score and throws in pointlessly sadistic intestine-eating gore for the sake of it. The dialogue apes the smugness of the 20-year-old SCREAM franchise (“Don’t you watch any horror films?”) and the plot pauses so that the film’s persecuted Goth stereotype can offer an embarrassingly awkward be-your-own-self speech. If you possess intelligence, prepare it to be insulted.